for physical acquisition of supported iOS devices (from original iPhone up to iPhone 6S Plus). Both PC and Mac OS X versions are supplied. 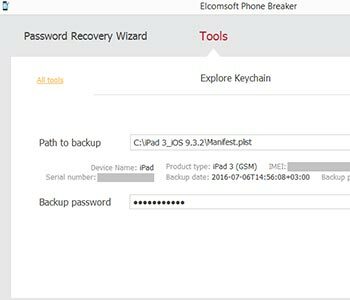 for logical and over-the-air acquisition of iOS, Windows Phone 8/8.1/10 and BlackBerry 10 devices, recovering mobile backup passwords and decrypting encrypted backups. a Mac OS X version of the mobile acquisition tool. 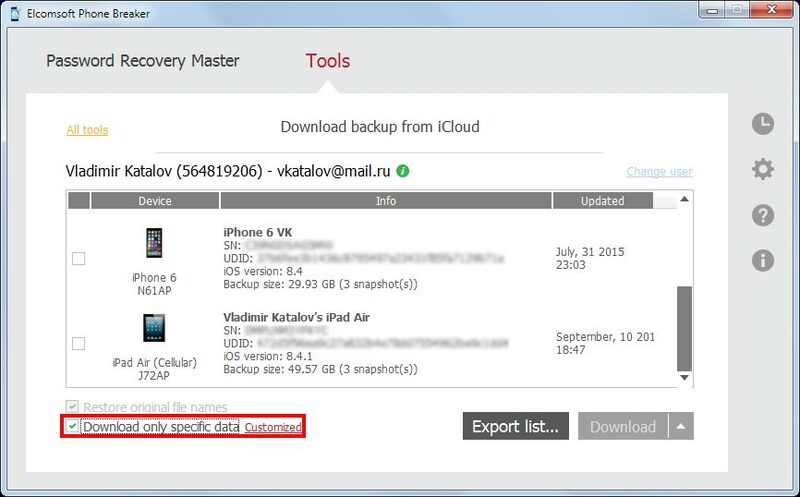 Native Mac OS X tool for logical and over-the-air acquisition of iOS, Windows Phone 8/8.1/10 and BlackBerry 10 devices. 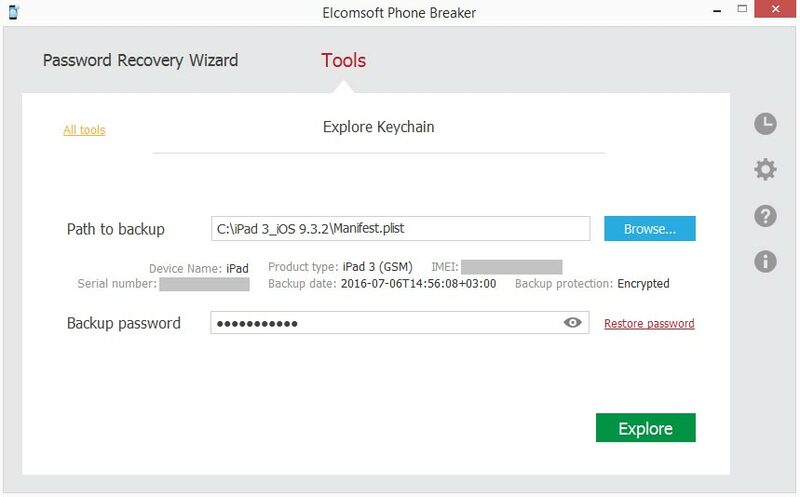 Decrypts encrypted backups but doesn’t support brute-forcing passwords. 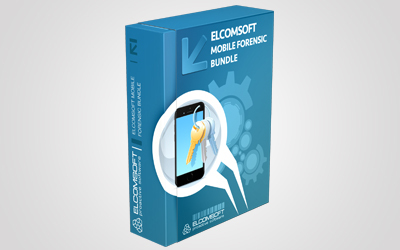 a fast, lightweight tool to view and analyze information extracted with ElcomSoft mobile forensic tools. 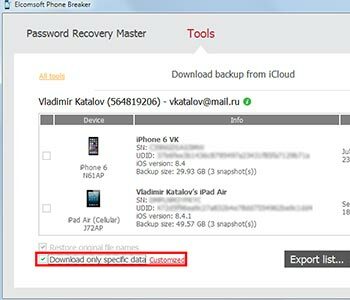 Allows viewing deleted messages (including deleted SMS and iMessages in iOS backups). Windows and OS X (Mac OS) versions are included. 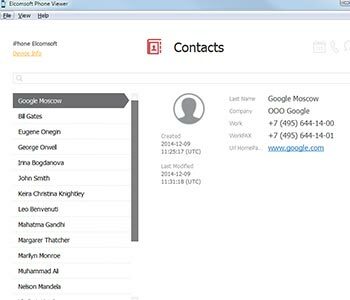 An all-in-one tool to acquire information from Google Accounts. Extracts and analyzes user’s detailed location history, search queries, Chrome passwords and browsing history, Gmail messages, contacts, photos, and a lot more. a tool to download, decrypt and display WhatsApp communication histories. for viewing the content of legacy BlackBerry backups(prior to BlackBerry 10).